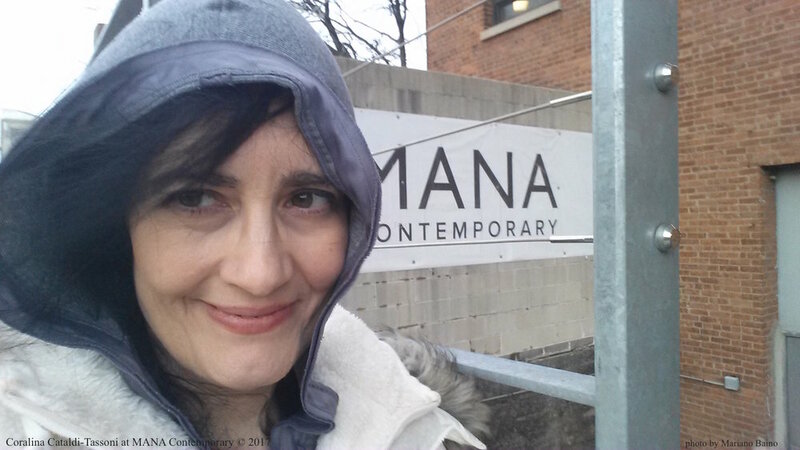 The World Premier of LADY M 5.1 at MANA Contemporary, one of the largest and most innovative contemporary art organizations in the United States. 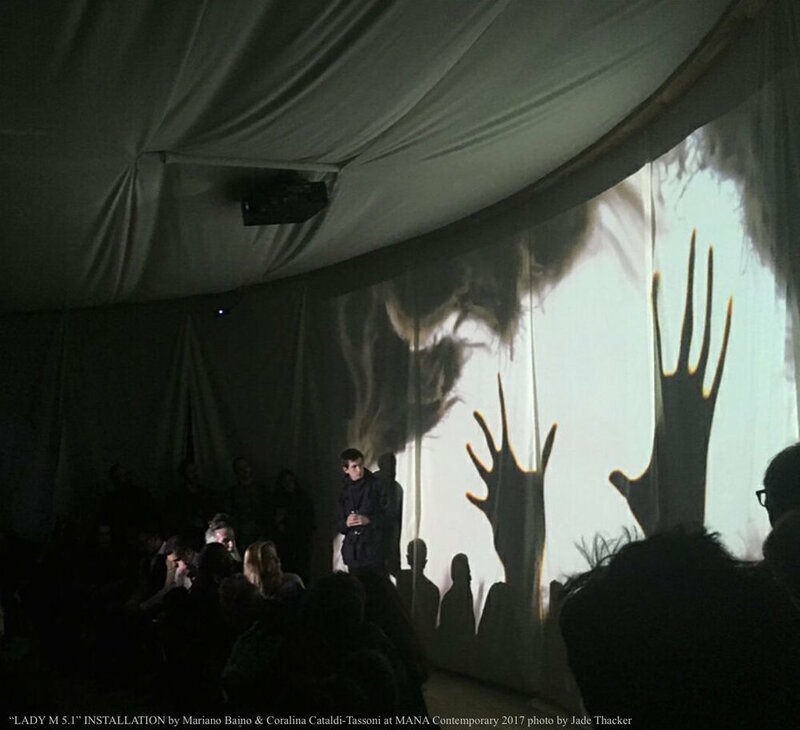 To accompany the screening Baino & Cataldi-Tassoni created a monumental installation: a parallel universe, allowing the audience to witness, among the shadows and sounds, the alternative dimension in which Lady Macbeth is now destined to dwell. The screening will be followed by a Q&A with journalist Filippo Brunamonti (La Repubblica Huffington Post). 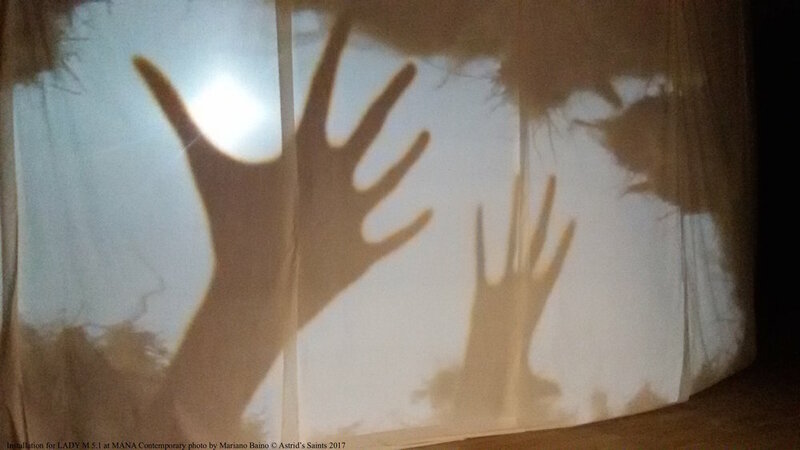 LADY M 5.1 short film and installation, will run on a 40 minute loop, from March 18 thru March 25 2017. 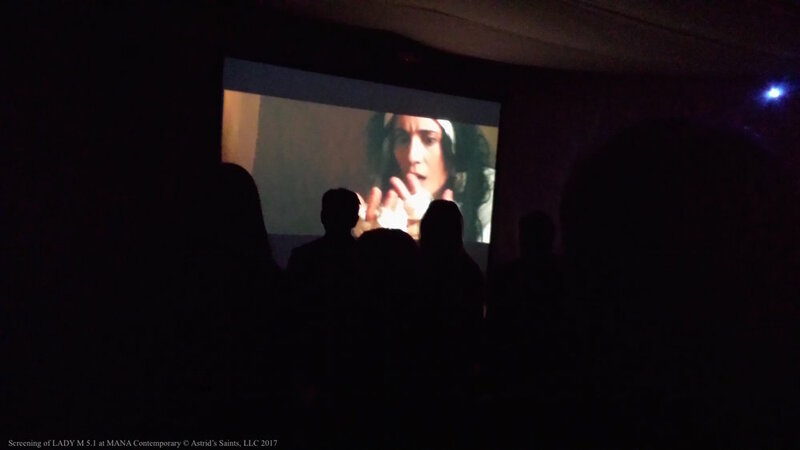 LADY M 5.1 screening at the ANTHOLOGY FILM ARCHIVES in NYC on May 6th 2017. Screening followed by Q & A with journalist Filippo Brunamonti (La Repubblica, Huffington Post). 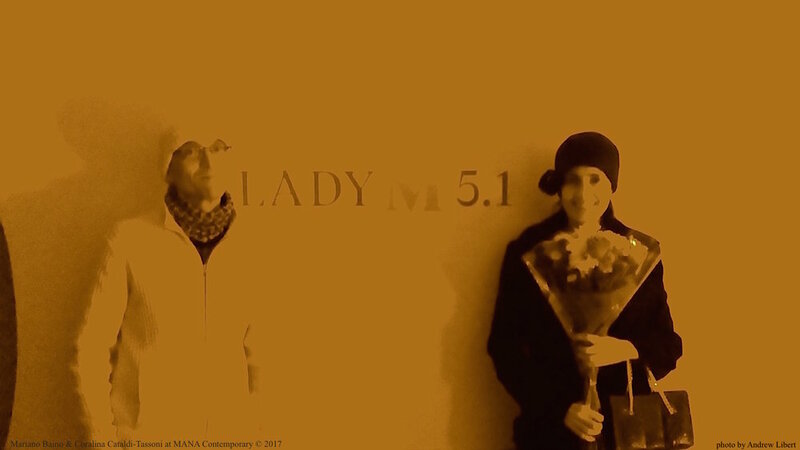 LADY M 5.1 will have the honor to have its European Premiere of LADY M 5.1 at the world renowned MACRO - MUSEUM OF CONTEMPORARY ART of ROME- on Tuesday, October 31, 2017. 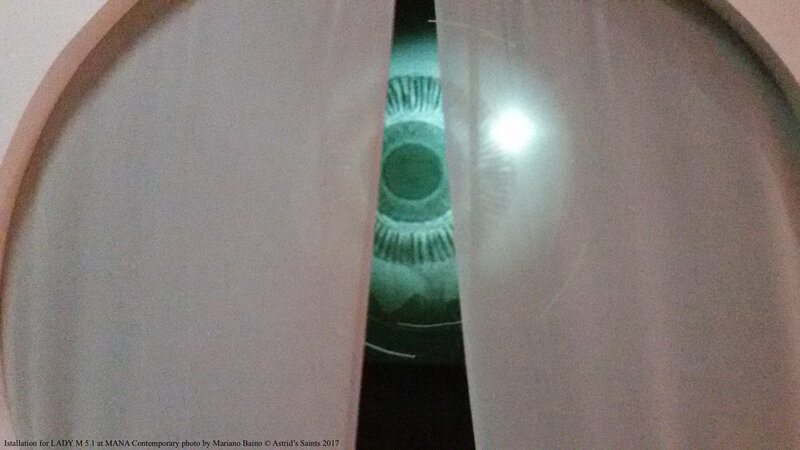 The solo art exhibition ARS INFECTA: THE ART OF DARK WATERS, by the director Baino will also be opened to audiences at the MACRO from October 31 to November 02, 2017. 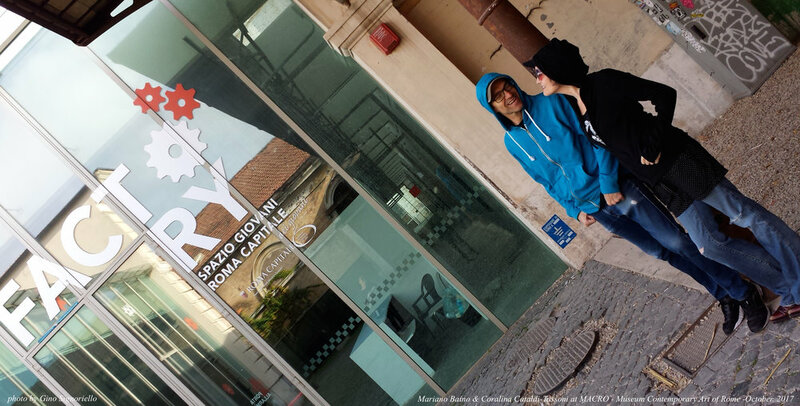 LADY M 5.1 will be screened on November 17th, 2017 @ 8 pm at the CINETECA NAZIONALE, considered one of the most important archives of cinema in the world. 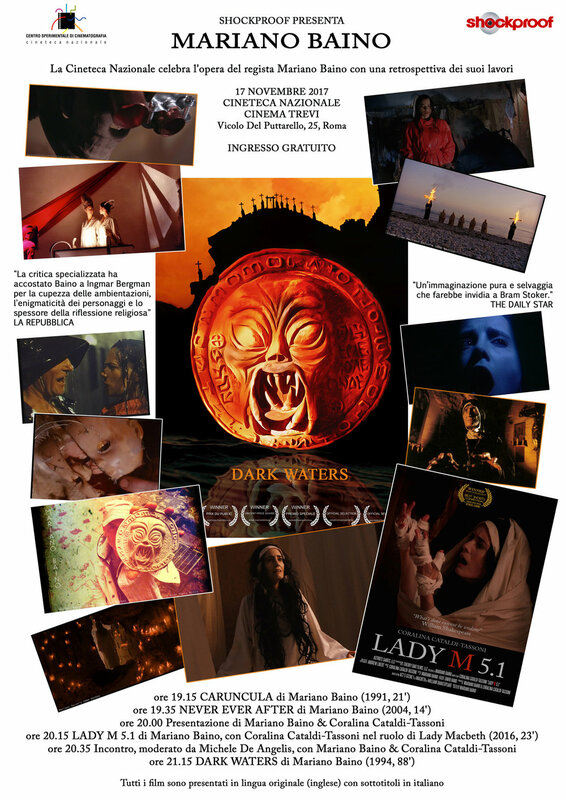 The screening will be part of a retrospective dedicated to LADY M 5.1's director Mariano Baino. 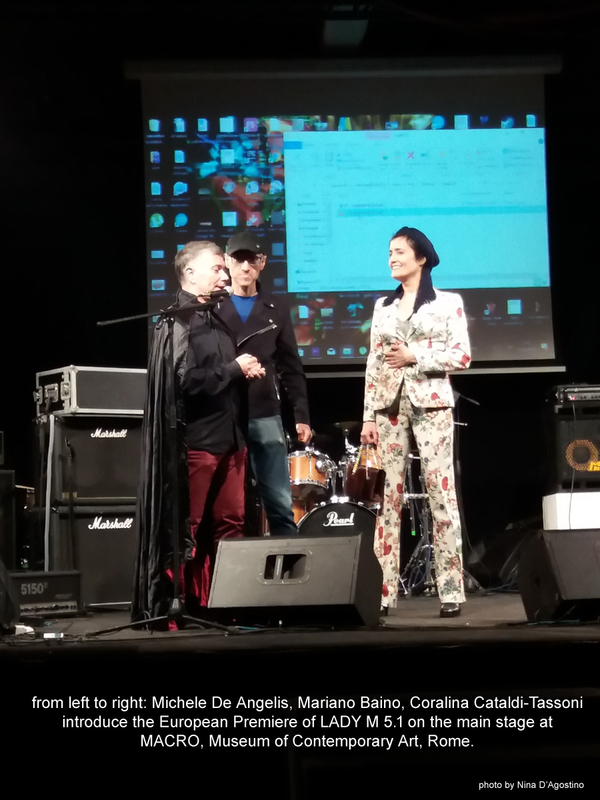 The screening will be presented by Coralina Cataldi-Tassoni & Mariano Baino and will be followed by a Q&A with both artists, moderated by producer Michele De Angelis. The event will also include a screening of Baino's two shorts CARUNCULA, NEVER EVER AFTER and his feature length film DARK WATERS. LADY M 5.1 will start at 8 pm. For a full schedule of the evening please click here, thank you.